The truck driver involved in the fatal human smuggling scheme that left 10 people dead may now be facing the death penalty himself. 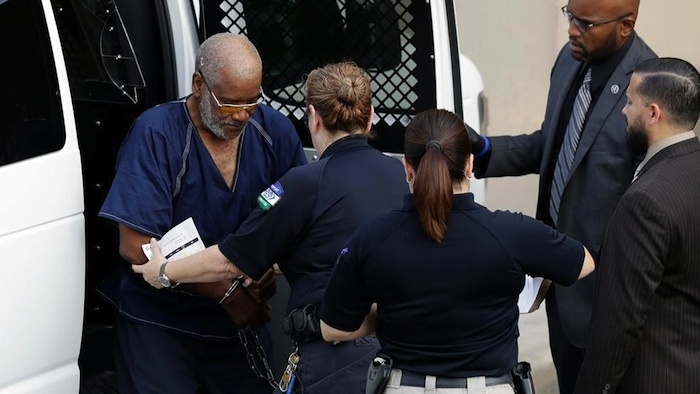 On Monday, James Matthew Bradley Jr., 60, of Clearwater, Fla., was charged under federal law with one count of “transporting illegal aliens.” If convicted, the crime is punishable by life imprisonment or death if the crime results in a death. But investigators aren’t stopping there. On Tuesday, a US immigration official told the Associated Press that they believe Bradley is just one part of a large human smuggling organization, and their goal is to identify and dismantle the ring. "We're certainly not stopping at looking at the driver. We're trying to investigate and identify the different cogs, the stash houses, the other members, where the money came from," said Shane Folden of the US Immigration and Customs Enforcement's Homeland Security Investigations office in San Antonio. 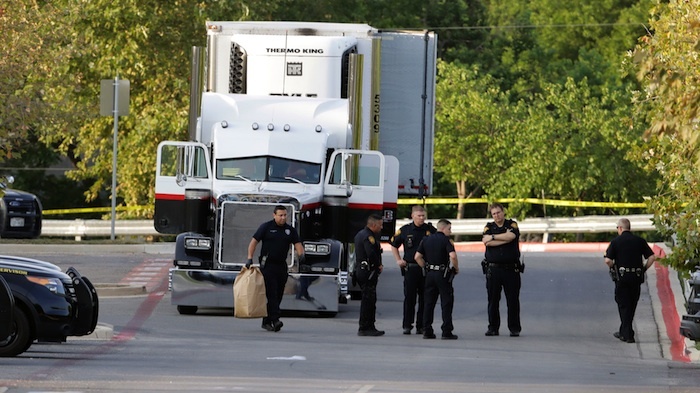 A total of 39 people were discovered in and around Bradley’s tractor-trailer early Sunday morning while parked in a Wal-Mart parking lot just off Interstate 35, about 150 miles from the U.S.-Mexico border. The incident has become a major news story ever since and more details continue to emerge as officials conduct interviews with the 29 survivors. Based on the information gathered, they now believe there may have been as many as 200 people crammed into the sweltering trailer at one point. Some of the survivors have also provided authorities with other key details and admitted they had paid smugglers to bring them across the US border. Once across the border, they were loaded onto trucks that took them to the tractor-trailer. They were marked with different colors of tape so that the various smugglers on the other end could identify them once the tractor-trailer reached the parking lot. One man told agents he had arranged to pay smugglers $5,500 once he arrived in San Antonio. He said that while he was waiting with 28 people to be smuggled across the river on Friday evening, the smugglers told him that people associated with the Zetas cartel charged about $700 for protection and to cross by raft. The witness then said the group proceeded to cross the river in three separate trips and then walked throughout the night. He said it was about 9 a.m. Saturday morning when his group was picked up by a silver Chevrolet Silverado truck and taken to the tractor-trailer where about 70 people were already waiting inside. He said everything seemed okay for the first hour but as the temperatures climbed, more and more people started having trouble breathing and some began passing out. Investigators also learned that people started banging on the trailer walls trying to get the driver’s attention and did not get any response. They also took turns breathing in the outside air from a ventilation hole in the wall of the trailer. The witness said that when they finally pulled in to the Wal-Mart parking lot, the driver slammed the brakes so abruptly that several people fell over. When the rear doors opened, six black SUVs were waiting to pick up people and would leave as soon as they filled with passengers. On Monday, Bradley’s fiancé told the Associated Press that he had no idea there were people in the back of his trailer. She said that he told her he didn't hear anything, and had only noticed movement in the trailer when he got off the road in San Antonio for a bathroom break. She said that when he opened the doors, “he saw the people in there, laying everywhere." At that point she explains Bradley phoned her and was distraught. "He said he didn't know what to do, which way to go. He was crying, distraught. He was scared. You could tell it in his voice." And then you dumbfucks actually have the balls to complain that they are over regulating. Bill Rushing, they want to execute him ! Go Texas! !